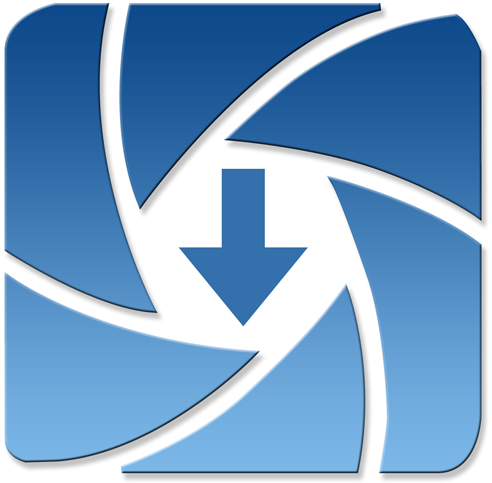 Now you can have your photos the same day we complete them. 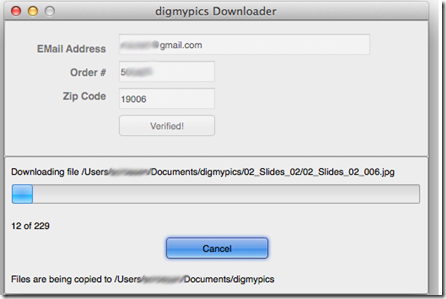 Just download them to your computer and then you can add them to your favorite photo management program, like iPhoto, or cloud based photo sharing site, like Flickr, Picasa, or Facebook. Easy. Fast. Fun! 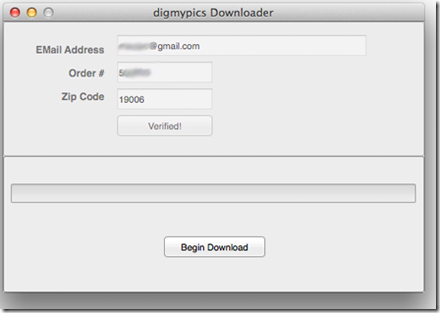 Below is a tutorial for getting and using the digmypicsDownloader app for Windows and Mac. Click Actions. Windows is trying to help you not install malware, but our app is not malware. You’ll need to disregard the warning if you want to use the downloader. If that makes you uncomfortable, you’ll have to wait for the disks to arrive in the mail instead. Use the same 5 or 9 digit zip code that you provided us for your shipping or billing address. All of this information will be in one of the emails we sent you. If your information verifies correctly, the fields and the Verify button – which changed to ‘Please wait…’ will all gray out but the Begin Download button will become enabled. 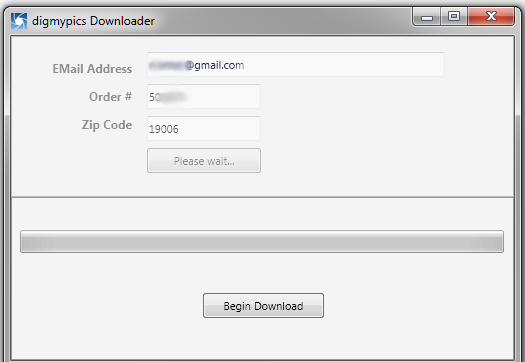 Press the ‘Begin Download’ button to start the download. 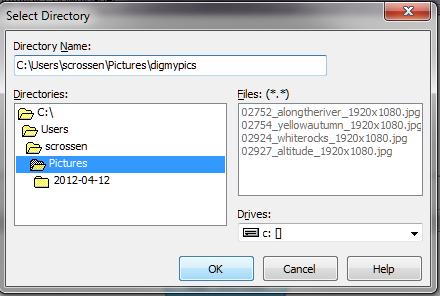 You can use the folder Pictures, but I wanted my scans put into a folder called digmypics so I typed that extra bit into the Directory Name box. 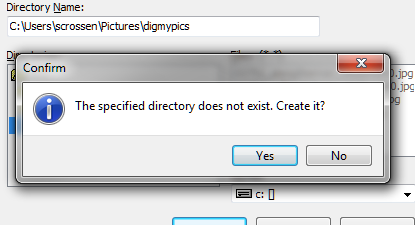 Because I decided I wanted a new directory, I was asked if I wanted to create that directory. I clicked Yes. 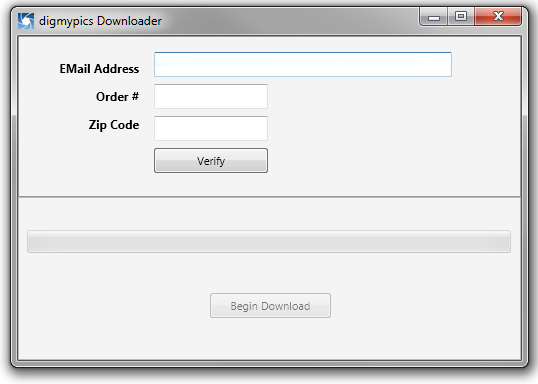 The download begins….. You can click cancel to stop the download. 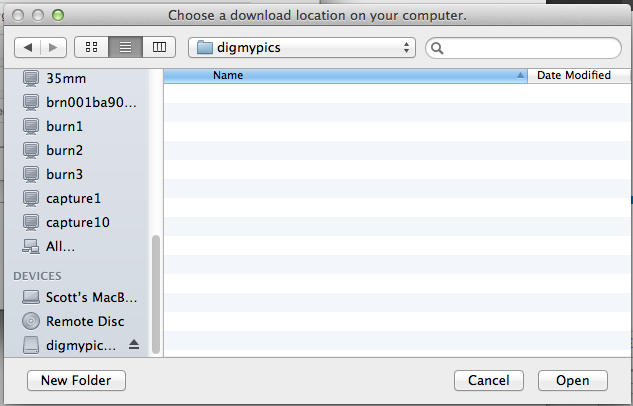 That will stop the files from downloading, but it will not delete any of the files that have already been downloaded. You’ll need to do that manually. 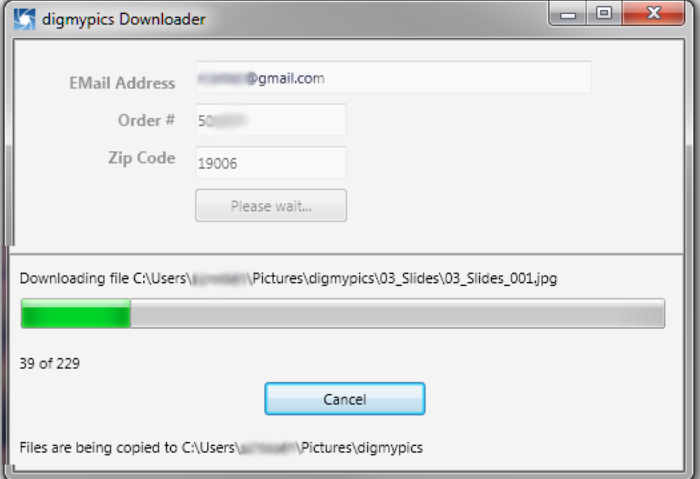 If you redo the download, it will start over from the beginning. Once its complete, that’s it. You’re done! Safari shows the download when you click the downloaded button in the top right of the window. 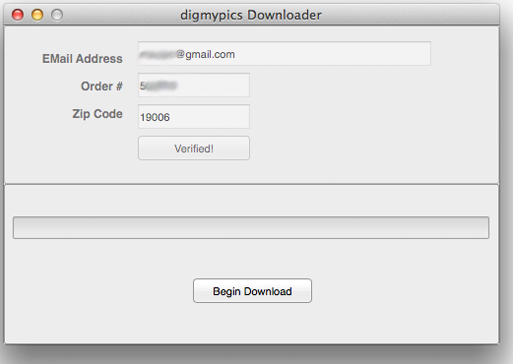 Click that Down arrow, then Double click the digmypicsdownloader.pkg file. 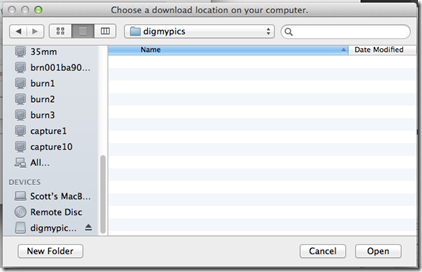 Open your Applications folder in Finder and double click the digmypicsDownloader app. You can use the folder Documents, but I wanted my scans put into a folder called digmypics so I clicked on New Folder and created a folder called digmypics. 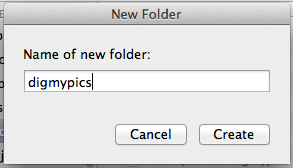 Click Create to make the folder.